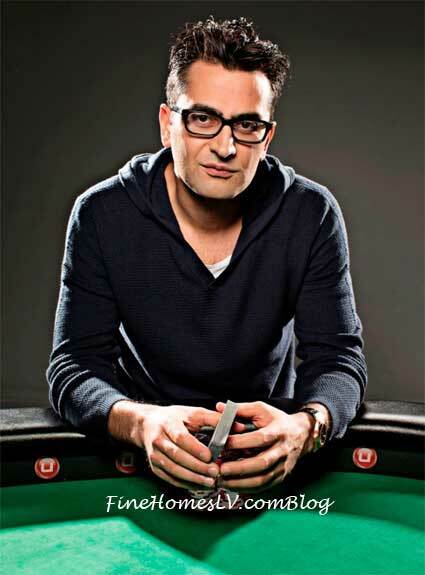 Poker professional Antonio Esfandiari has signed on as Brand Ambassador for Ultimate Poker, UltimatePoker.com, a licensed online poker room in the state of Nevada, launching in 2013. Making history as the first professional poker player to represent a U.S. licensed online poker company, Esfandiari lends the voice and weight of a true champion to a brand committed to becoming the players’ choice for online poker. Esfandiari is ranked number one for all-time tournament poker winnings in the world. He is widely known on the poker circuit as “The Magician,” due to the chip tricks and magic he performs on and off the tables. Antonio’s outgoing personality and fan appeal was quickly recognized by poker television producers, who made Antonio a regular competitor and commentator on many of poker’s most popular televised events, most notably for ESPN. Having won over $23 million from poker tournaments as well as two World Poker Tour titles and three World Series of Poker bracelets, the most recent of which being the $1 million dollar buy-in tournament Big One for One Drop’s one-of-a-kind platinum bracelet.